Severnwye Farm is the base for Severnwye Equestrian and Severnwye Llama Trekking. Over 15 years we have built up a centre with rare breeds, wild boar, llamas, giant rabbits, horses, ponies, mules and donkeys. Over the last year we have built indoor stabling and a large training arena for the equestrian operations. These include livery and pony trekking. We welcome visitors to Severnwye Farm, and those using the facilities or coming on treks in the forest can also see the other animals we have. Treks from Severnwye Farm through the ancient Forest of Dean. Horses and ponies available to suit all sizes and levels of riding ability. Treks can also be accompanied by Llamas, who will carry a large picnic hamper. 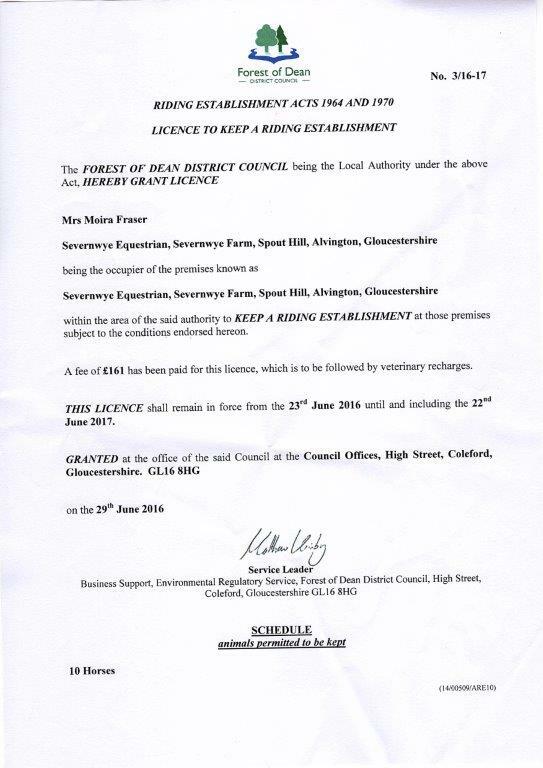 Severnwye has a Riding Establishment Licence from the Forest of Dean District Council for 2016.